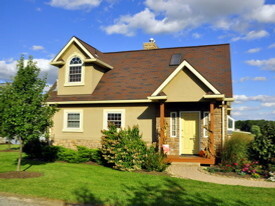 Premier Carriage House Cottages welcomes you to the heart of beautiful Amish country, with seven individual cottages. Our cottages are located less than four miles from the center of Berlin, just far enough from town to enjoy a spectacular starlit sky and a quiet stroll in the country. Berlin attractions and several Amish style restaurants are just a short drive away. Or, if you prefer, you can also stay and cook for yourself in one of our well appointed kitchens or do some grilling on the back porch barbeque. Our cottages are filled with delightful genuine cottage decor – featuring local, primitive, and country-style furnishings with luxurious bedding. 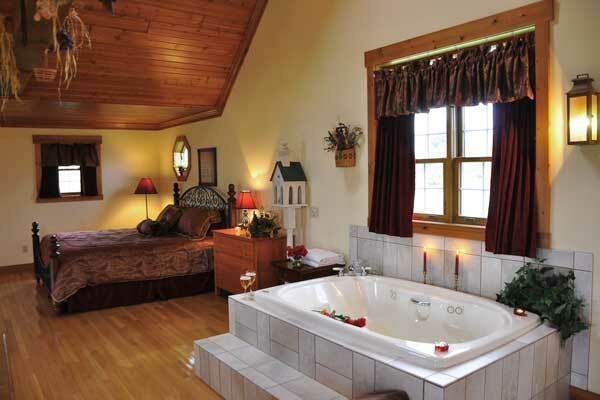 Each cottage has a two person jacuzzi, over-stuffed chairs and at least one large stone fireplace to make your stay more romantic and comfortable. Rolling country scenery and farmlands surround the property, creating a haven of quiet seclusion that feels far away from the hustle and bustle of everyday life.